E6016 (73110) Ruddington, 24th May 2015. 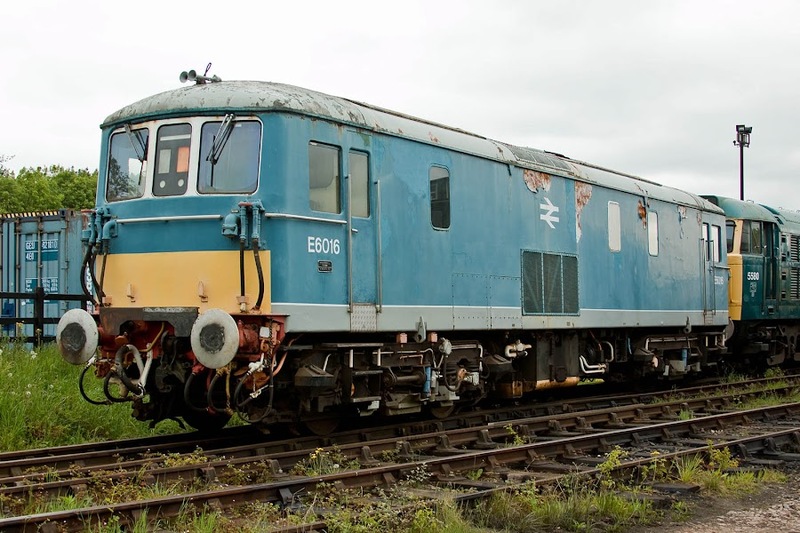 73110 has been sold to GBRf, having been in the care of English Electric Preservation at the Great Central Railway (North). On 6th September, it arrived by road at Eastleigh Works for overhaul. New as E6016 from English Electric Vulcan Foundry in January 1966, withdrawn from Hither Green in May 2002.